Artist/Author : Bildstein, Keith L.
Artist/Author: Ferguson-Lees, James and David Christie. This new field guide uses all of the plates from Raptors: birds of prey of the world , with a concise, revised text on facing pages, to create a conveniently-sized, lightweight field reference covering all 320 raptor species. The book also has an updated colour distribution map for each species. 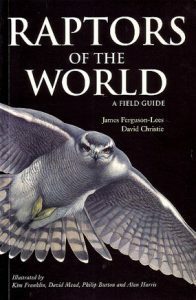 Much of the extensive introductory material has been retained in this guide, with the addition of a complete species list containing all subspecies and brief details of their ranges. 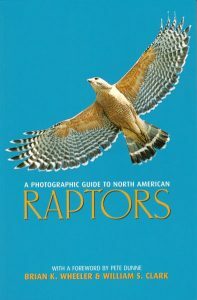 A photographic guide to North American raptors. Artist/Author: Wheeler, Brian and William Clark. This paperback edition describes the 43 species of diurnal raptors found in North America at rest and in flight, male, female, adult, juvenile and subadult plumages, with all usual colour morphs depicted. The concise text highlights key field mark, covers potential confusion species, and gives other relevant information such as measurements, range, and flight style. This Second Edition illustrated field guide to diurnal raptors, a bird group that many people find among the most difficult birds to identify. Iconic and popular birds, raptors are important ecologically as well as in legislation, with some species listed as threatened. 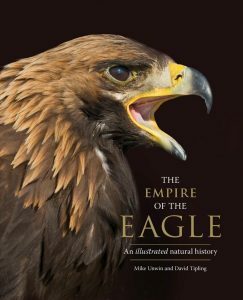 An aid to identification, this book also provides a brief overview of the biology of raptors and an indication of the current state of knowledge on them. 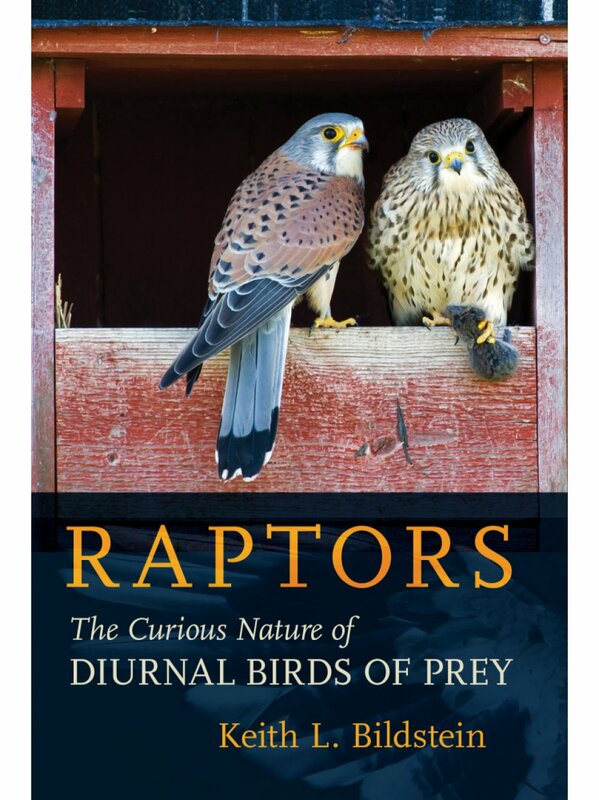 The book has been completely revised and updated, with 15 years of new data, a section on difficult species-pairs (split-images providing direct contrast), and rearranged in modern field-guide format, making it easy to use and enabling rapid identification of ‘difficult’ raptors. Illustrated with 26 plates from the Handbook of Australian, New Zealand and Antarctic birds, along with other illustrations depicting flight, soaring, display, feeding, hunting, and courtship. In this new edition, the split images are from the HANZAB plates but haven’t been published in that format before. There is also one new plate, the Oriental honey-buzzard, and the photographs are all new. 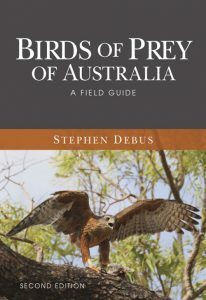 Stephen Debus has undertaken research on and written about raptors for 30 years. He completed a PhD and postdoctoral research in Zoology, on declining woodland birds. He now works as an ecological consultant, and is an honorary research associate at UNE, doing projects on various raptors. He co-edits the BOCA journal Australian Field Ornithology, edits the Australasian Raptor Association (ARA) journal Boobook, and serves on the Australian Bird Study Association committee. Stephen has authored field guides on raptors and owls and participated in several Red Goshawk projects.